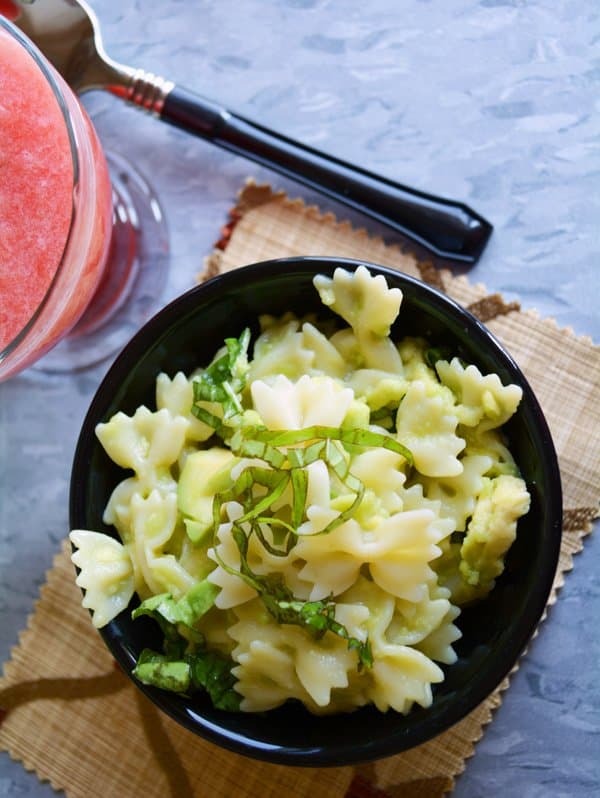 Super Creamy Avocado Pasta Recipe can be made in less than 20 minutes. So substitute your regular pasta sauce with avocado for a healthy variation. Make your dinner, lunch to vegan and vegetarian. 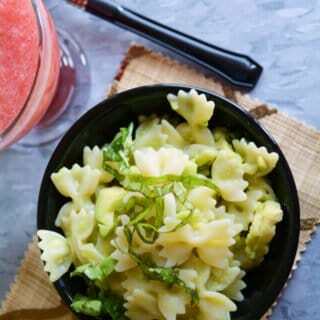 As I told you before this healthy creamy avocado pasta can be made in few minutes and with very few ingredients. No cooking made on the stove for a longer time. Just cook the pasta as per the package instructions. And the rest can be made on the kitchen countertop. Best ripe avocados are great. Ripen them before making this recipe, do you know how to make an avocado soft? Just roll them in a paper bag or a newspaper, keep them on kitchen shelves. Leave it for 2-4 days to get ripe according to your requirement. Check in between, into once a day to avoid any mess. Substituting multigrain pasta with the regular pasta would cut down some calories as well as add more nutritive value to dish every time we make it. Cheese tastes yummy but I’m nowadays replacing it with vegan choices like this creamy avocado. I’m totally satisfied with the result and planning to replace avocado for any cheesy dips. If you are looking for other pasta recipes, then you may look into Girelle Pasta with Chickpeas, Roll-up Lasagna, Shrimp Bruschetta. 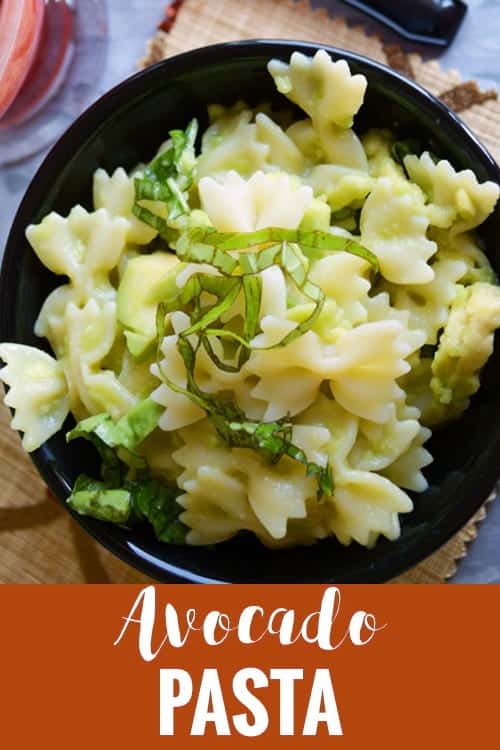 Creamy Avocado Pasta Recipe easy and healthy made quick under less than 20 minutes. The sauce is made healthy with no cheese and no blender. A best low carb and vegan homemade food. Make it spicy by adding a green chili and lemon. Cook pasta as per the package instructions, drain and set aside. To a food processor, add avocado flesh, tomato, garlic, green chili, cilantro leaves, salt and lemon juice. Run food processor/blender until all the ingredients blends and mashed up well. Add this creamy avocado to the cooked pasta which we have set aside in the first step. Use a spatula for blending them and make sure that they are evenly coat with the avocado sauce. Serve Super Creamy Avocado Pasta Recipe immediately.